Angel Bear Applique - $4.99 : Fancy Fonts Embroidery, Home of the ORIGINAL Trendy Dots Font! 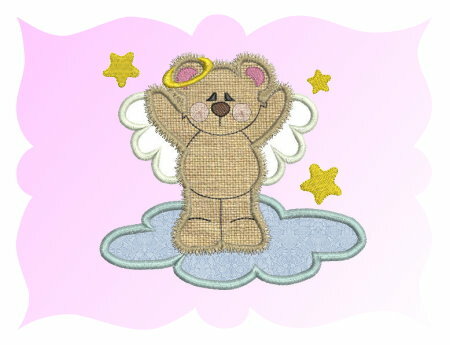 This sweet Angel Bear Applique is just so cute! I can see it on so many projects, such as onesies, bibs, t-shirts, burp pads, etc. The possibilities are endless! 4x4 hoop - 3.74 x 3.32"
5x7 hoop - 4.84 x 4.27"
6x10 hoop - 5.88 x 5.20"